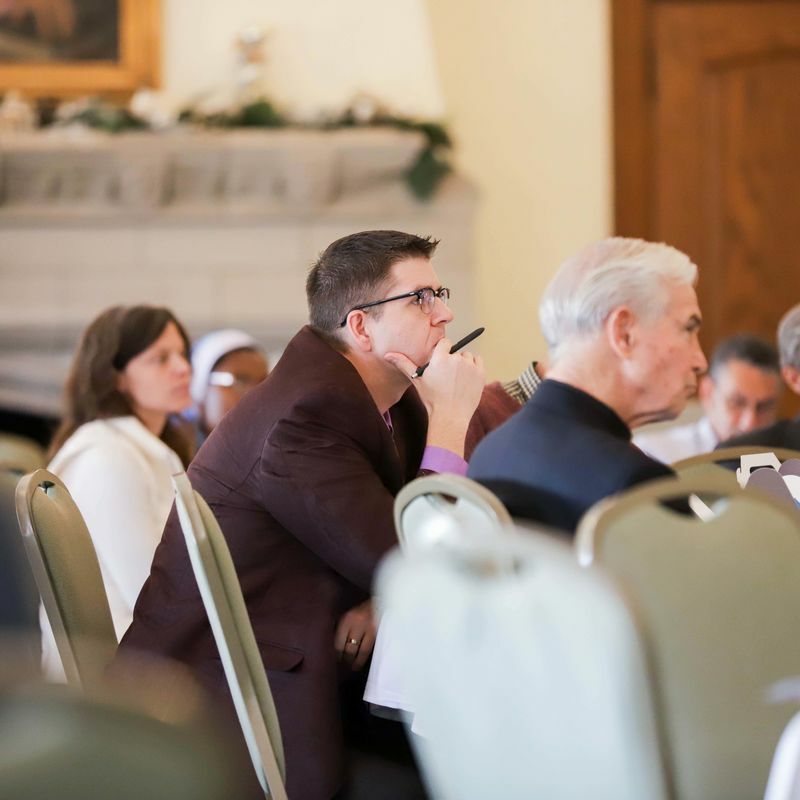 Sacred Heart faculty and guests participate in ecumenical symposium. On December 2, Sacred Heart Major Seminary hosted a symposium titled “The Continuing Adventure of Ecumenicity.” The event featured Sacred Heart professors and guests discussing Divine Election: A Catholic Orientation in Dogmatic and Ecumenical Perspective, the latest book from Sacred Heart professor of philosophy and theology, Dr. Eduardo Echeverria. Divine Election addresses two questions debated by theologians for nearly two thousand years. Firstly, how do we reconcile God’s sovereignty with authentic human freedom? Even when that freedom means saying “No” to God? Secondly, it addresses how we reconcile God’s universal salvific will, specifically how He wants all men to be saved and yet not all men will be saved. Fellow Sacred Heart professors Dr. Philip Blosser, professor of philosophy and Dr. Robert Fastiggi, professor of systematic theology, joined Dr. Echeverria as speakers at the symposium. They were joined by two guests from Grand Rapids, Michigan. Dr. Adriaan Neele, professor of historical theology at the Puritan Reformed Theological Seminary, and Dr. Jordan Ballor, senior research fellow and director of publishing at the Acton Institute for the Study of Religion and Liberty. The symposium began with each speaker presenting their thoughts on the topic and concluded with a panel and Q&A session. 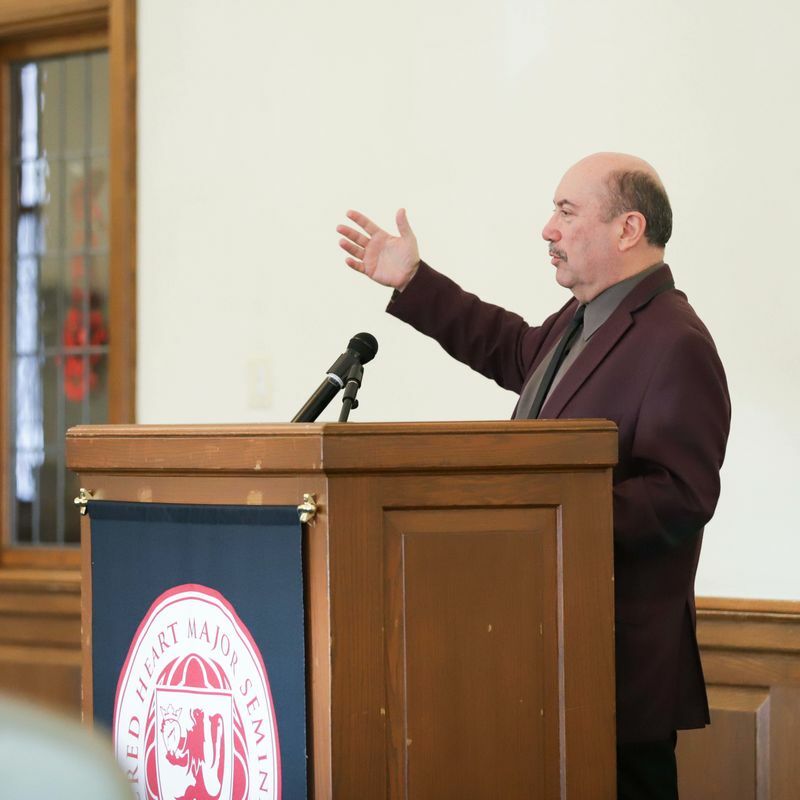 It was the perfect opportunity for seminary alumni, students, and members of the public to listen to, and even engage with, the discourse surrounding Dr. Echeverria’s work. 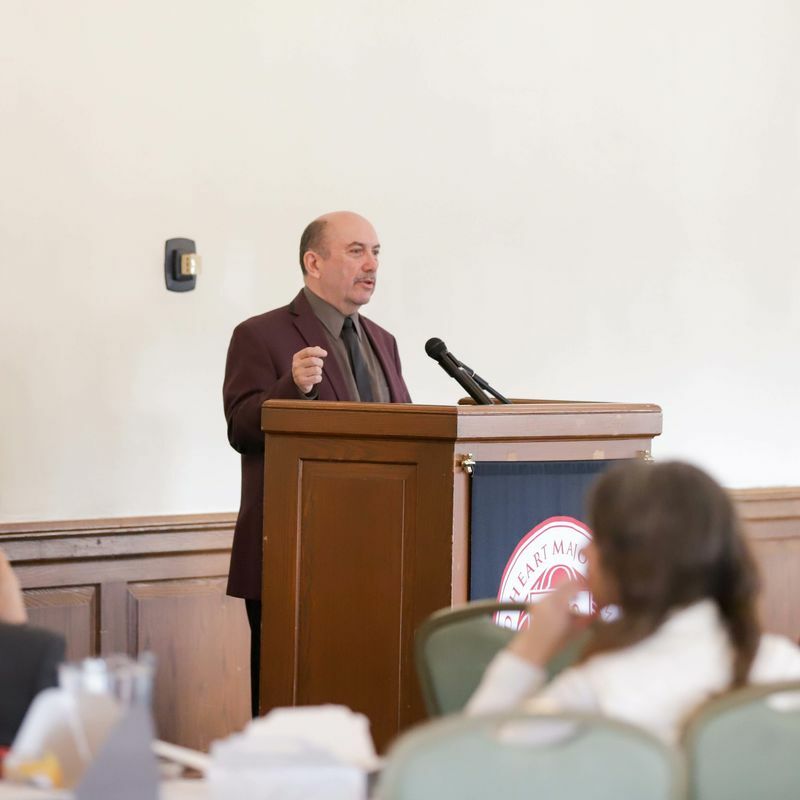 “The hope is, of course, that we come to a deeper understanding of where we are as Catholics and as Reformed Christians,” Dr. Echeverria said about his devotion to studying the questions examined in his book and to his ecumenical approach. Dr. Echeverria places a great deal of emphasis on that unity. He cites Jesus’ ecumenical imperative in John 17:20-21: “I do not ask for these only, but also for those who will believe in me through their word, that they may all be one, just as you, Father, are in me, and I in you, that they also may be in us, so that the world may believe that you have sent me." Divine Election: A Catholic Orientation in Dogmatic and Ecumenical Perspective is available now on Amazon.